Description: Do you love Sarah Vedeler’s embroidery designs as much as we do? If you have joined her on-line Mystery Block of the Month called Simply Dreaming or wonder what it’s all about, come to this open discussion group led by Nan. We will discuss the block presented each month, stabilizer options, threads & needles. 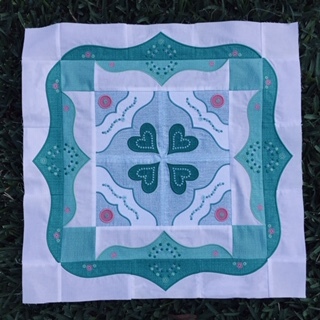 We will also talk about the Cameo Silhouette and Cutwork tool options and how to determine the right pattern and files you need to create your quilt. Looking ahead, we will also get into the quilting designs which are coming to us in future months.